Last week I featured a blog post about my favourite online beauty websites so it feels right to also include a post about my favourite places to shop on the High Street. I tend to buy a lot more by shopping in store rather online so this post will feature a selection of my favourite beauty, fashion and home picks! I remember shopping at New Look a lot in my early teens but for some reason stopped for a good number of years after that. I started shopping there in the past few years and I’m absolutely loving it. I think New Look are really on top of their game and I find I buy products there for day, night and work. Their prices are also very reasonable which makes them appeal even more. This has been a shop I have loved since I was a teen because I find their clothes a little different to what other stores on the high street have to offer. Over the years if I’m honest, I’ve noticed the price has crept up but the quality crept down so I’m finding I’m shopping less in there but I love their style and if I’m ever struggling for an outfit whether it be for day or night I know I will get it here! Debenhams is a great department store that sells a multitude of products ranging from beauty to fashion and home. I particularly love looking around the beauty section and always get my eyebrows threaded here. The homeware is also a favourite! The Selfridges beauty haul is amazing whether you or looking to buy something in particular or just browsing. It would be amazing to be able to wonder around there without all the crowds and really take in the beauty of the store. The other departments are also just as great so it is very easy to spend many hours in here! Harrods holds special memories for me because I have been going there with my parents my entire life. I love how exclusive and special it feels and it’s been interesting to see how it has changed over the years. It offers a huge amount of products and even though I’ve been going there forever the store is so huge I still get lost almost every time (my sense of direction is really bad). 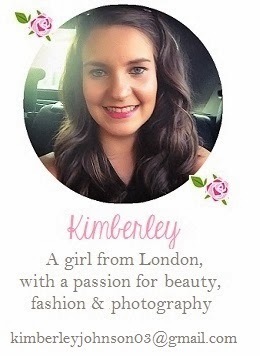 Being a beauty blogger this one is a pretty obvious pick! I like the layout of the product displays in Boots and the staff are always helpful. I love that there is always one near by and that they have such a large product range that is often on special offers too. Superdrug is another obvious pick but I only tend to go in there to buy products that aren’t available in Boots because I prefer it. I love that they stock Essie, Sleek and MUA in particular. There is often a bargain to be had in Superdrug which makes it very tempting to buy products from here! I’m always amazed at how low the prices are at Primark and am suprised I didn’t start shopping in their sooner. This is definitely the place to go if you want to pick up a bargain and the latest trends! Pandora sells beautiful jewellery and I often find myself in there admiring it. As it is on the pricey side I don’t regularly buy items from there but I am always adding more to my wish list and enjoying the new collections that come out. The Valentines one this year looks beautiful! Pandora display their products perfectly and the shops is light and airy. I love it. Although Dorothy Perkins is a little more expensive than some other clothing stores on the high street I often buy things for work in there. The quality is great as well as the fit and I love that I can easily achieve a smart casual look with very little effort. Laura Ashley is a great store for homeware and I love taking a peak at all the lovely things they have in there. It’s one of those stores where I could easily spend a lot of money because they are all so pretty so it’s lucky they often have big sales! There seems to be a theme here with the department stores but I really love them because they offer so much. House of Fraser is probably the one I shop in least often but there isn’t a particular reason for that. They do however, have amazing shoe sales where I have picked up some great bargains! If you had said to me 10 years ago M&S would be appearing in this post I would never have believed it. I remember going here with mum and dad as a child and finding it terribly boring but now I’m older I really appreciate the quality of their products and absolutely love their home department. This post has become much bigger than I expected because as I wrote it I kept thinking of more and more stores to mention! This is by no means all of them but it gives you an insight into my little world of shopping. Really enjoyed reading this post. Got to say I prefer Boots to Superdrug (for one their points card is SO more generous! ), and I love that Essie is now available in both stores. Boots is definitely where I head first! I love bargains at primark and new look! I tend to prefer boots over superdrug as well. Never been to Harrods, must go next time I am in London. 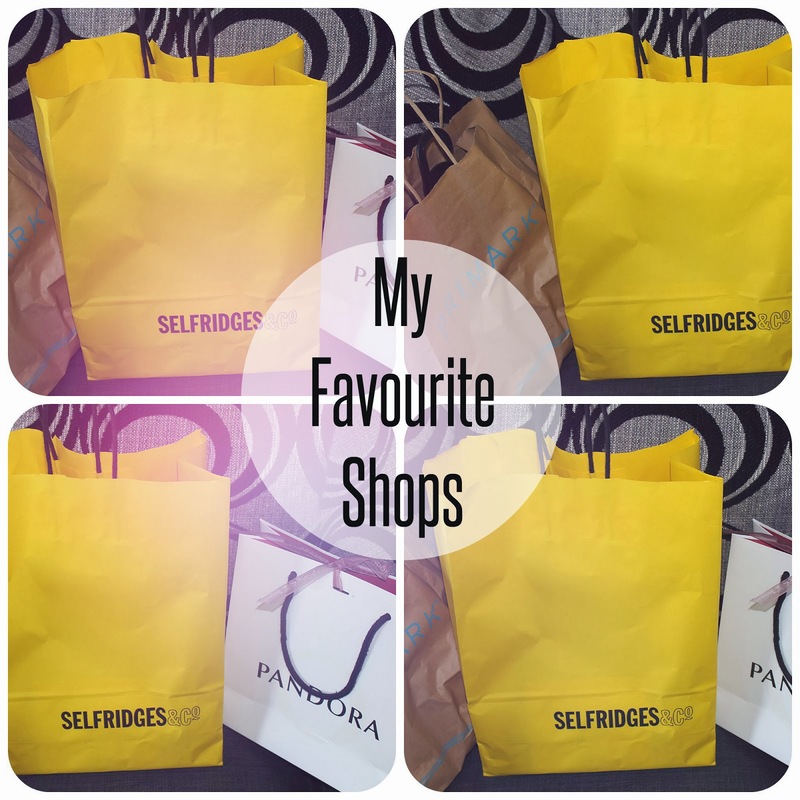 I love Boots and Primark – both great places to pick up bargains as Primark is so cheap and Boots always has great offers (: I also love the Home department of M&S – I never fail to find several things that I think would be perfect for my house! I love Boots and Primark and New Look, good price and lots of bargains!! I look having a browse in Primark and New Look too. Always on the lookout for a bargain ! i love marks and spencer!